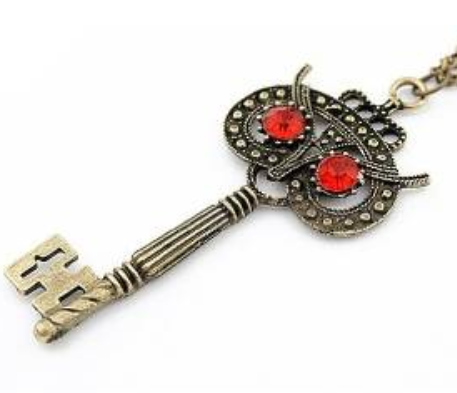 Owl Key Necklace Only $3.99 + FREE Shipping! You are here: Home / Great Deals / Amazon Deals / Owl Key Necklace Only $3.99 + FREE Shipping! How cute is this Owl Key Necklace ?? Right now, you can get this for just $3.99 + FREE shipping! I love the vintage look and the owl face on the top of the key. It combines two popular trends into one chic necklace!